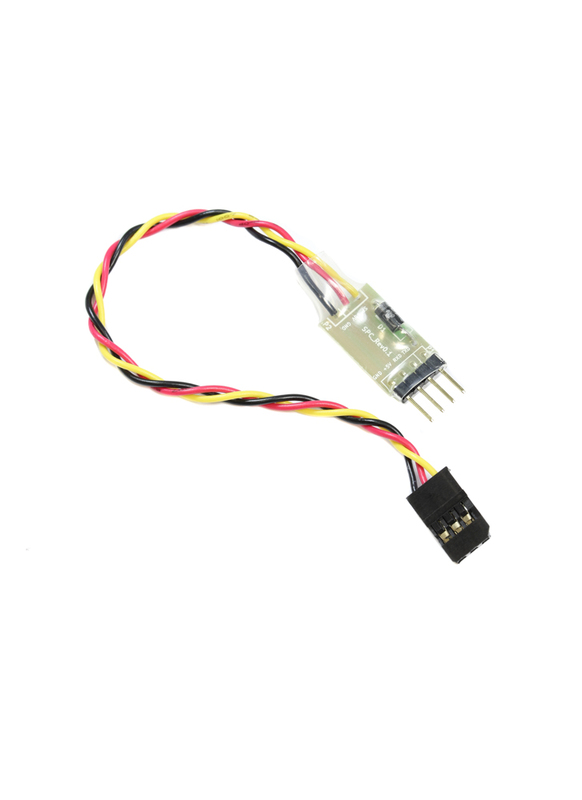 FrSKY Smart Port enabled telemetry sensors such as the FVAS-02N and FVAS-02H variometers, FLVSS LiPo Voltage Sensor, FCS-40 Current Sensor, GPS-02 GPS Sensor etc. The SPC also has an application for ArduPilot / Pixhawk users; it can be used in conjunction with the Frsky FUL-1 to provide telemetry data to X-series receivers so that you can view information such as flight modes, battery level, and error messages, as well as information from additional FrSky sensors on the FrSky Taranis, Turnigy 9XR Pro, and other FrSky compatible RC transmitters. Compared to a MAVLink radio link, the FrSky telemetry link has practically no delay. More info here on ardupilot.org.